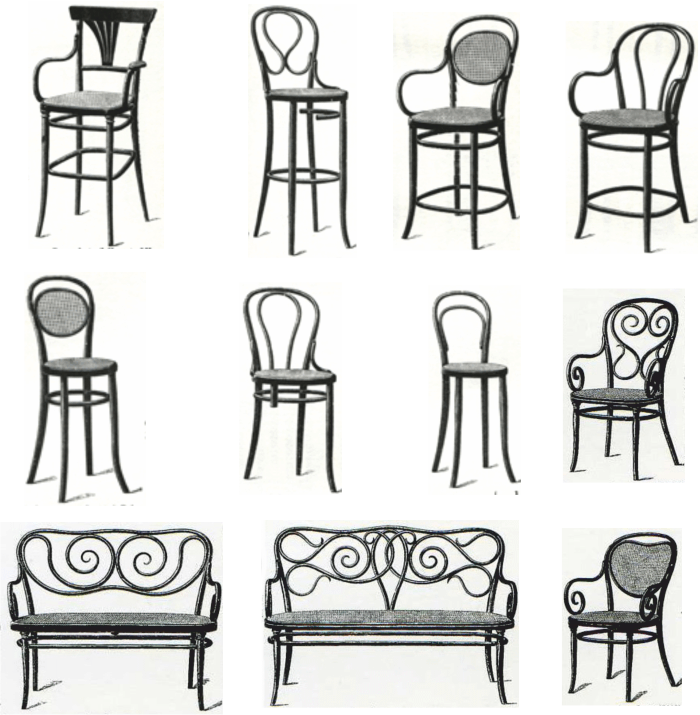 Study the ‘bentwood’ furniture manufactured by the Thonet Company. Identify four features /characteristics that they all /most possess. 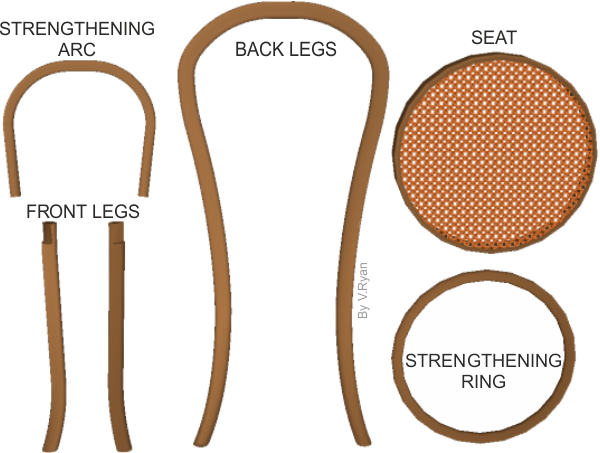 The chair was composed of six parts, ten screws and two nuts. This meant that thirty six completed but disassembled chairs, could be packaged safely, in a one cubic metre ‘sea crate’, for transport around the world. 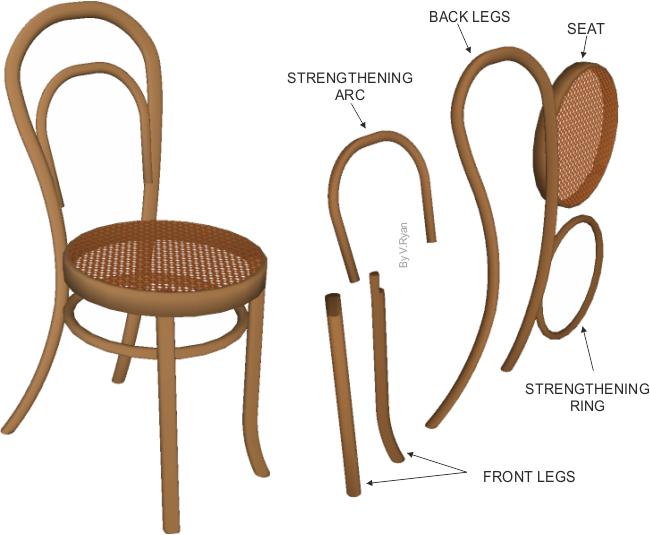 This was a revolutionary idea and showed the vision of Thonet, from design and mass production, to finally transport and distribution. The cost of manufacture and distribution was kept to a minimum using this industrial approach. In today’s global economy, container ships carry sea containers, full of manufactured goods around the world. 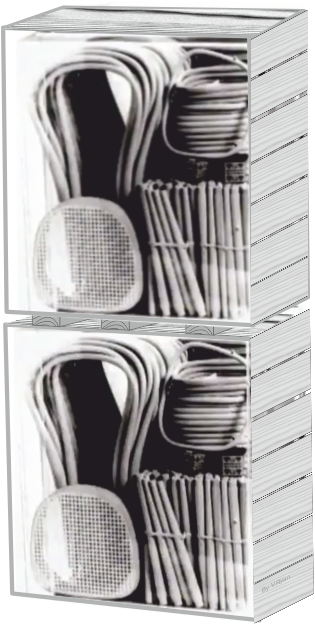 Thonet was possibly the first manufacturer to distribute mass produced products in this way.